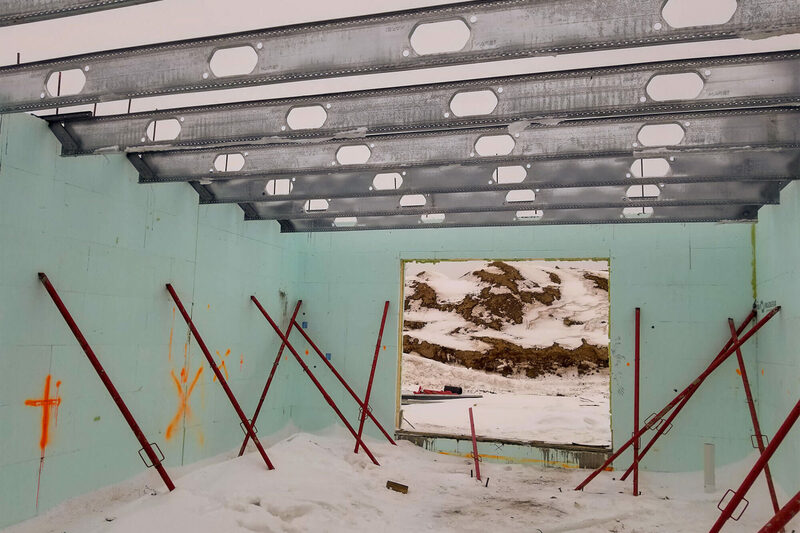 This custom home was built during the winter months using Fastform ICF for the building structure and exterior deck. 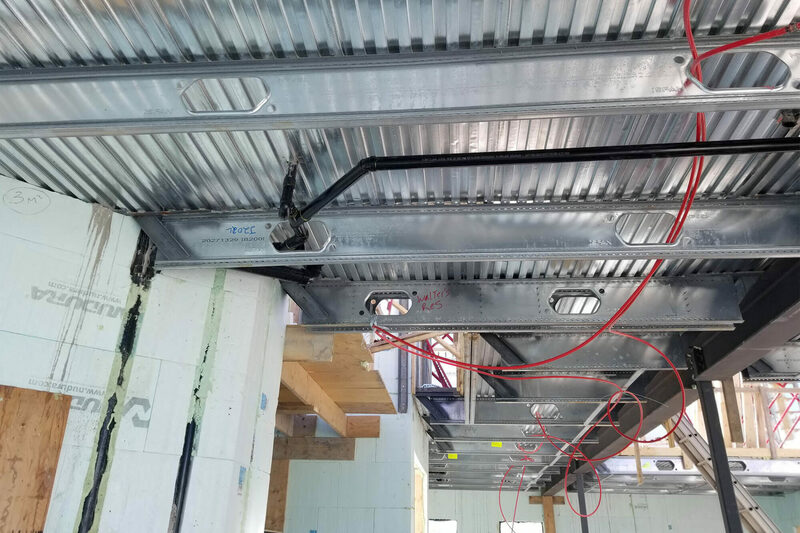 By using Composite TotalJoist, the owners were able to create longer spans with pre-punched holes in the floor joists for HVAC, plumbing, and electrical services. 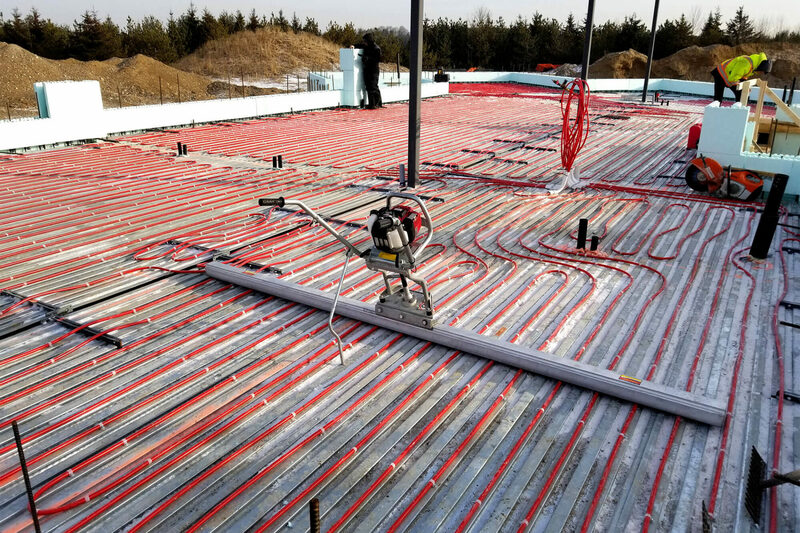 Hydronic tube heating was integrated into a 4” concrete topping. 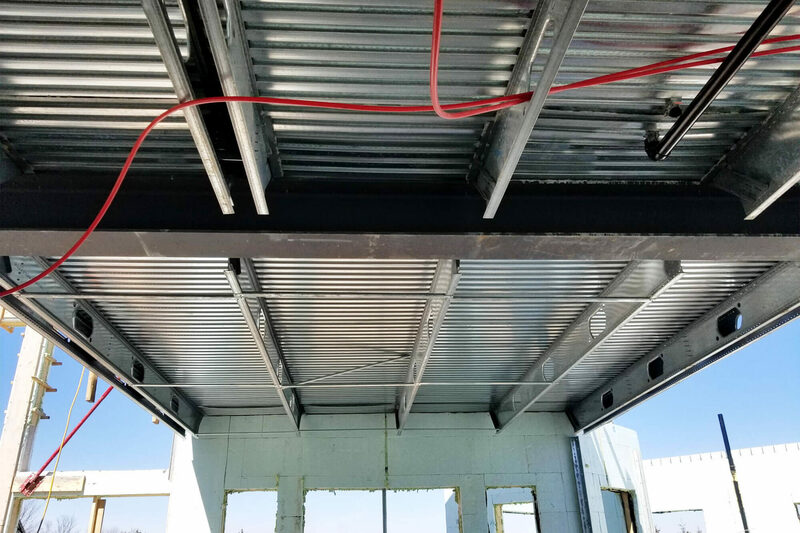 The topping was increased from the standard 3” to 4” without impacting the joist span or spacing. Sloped concrete was used at the exterior porch area, which still provided thermal break. 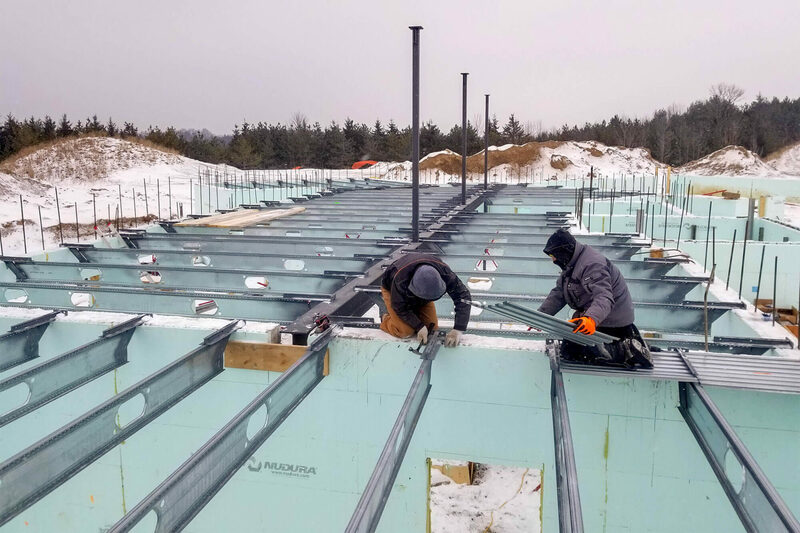 The Exterior deck was created using TotalJoist and an ICF ledger connection. The installers were still able to use regular deck boards and timber framing support beams.